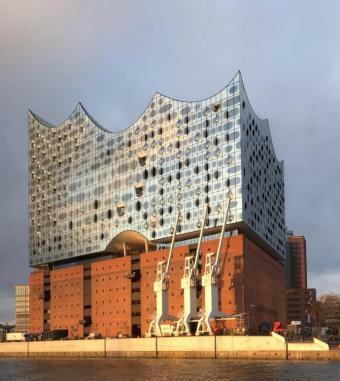 On January 11, 2017 the Elbphilharmonie or “Elphi”, as we also call our new concert hall in Hamburg, was officially opened. 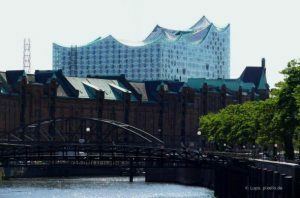 If you would like to visit the Elbphilharmonie you have different options that are listed below. By the way, concert ticket holders are allowed to visit the platform – the Plaza – two hours before the concert starts. On the platform’s observation deck, 37 meters above ground level, you can enjoy a 360-degree view of Hamburg. 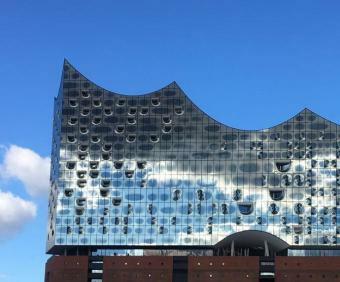 Please note: Guided tours to see the Grand Concert Hall are exclusively offered by the Elbphilharmonie GmbH. 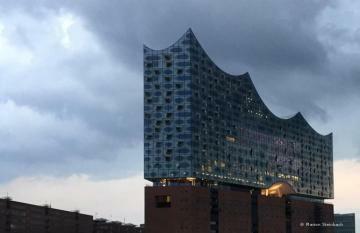 Our private UNESCO World Heritage Tour starts with an approximately half-hour visit of Elbphilharmonie Plaza incl. the observation deck. 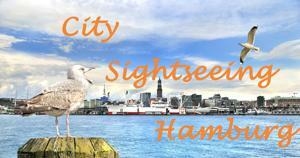 You will receive background information and we will show you the most important sights of Hamburg from above. Afterwards we will walk through the Speicherstadt (Warehouse District). You will also see the ruin of St. Nikolai church which is a memorial for the victims of WWII. Our tour will end at the town hall. In the event that the Plaza is not accessible, we will walk to the waterfront of the building. 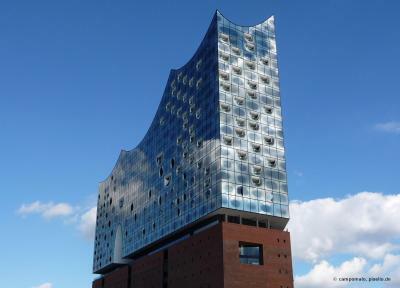 Our Tour starts at the Visitor Center opposite of the Elbphilharmonie, Kaiserkai 60-62 (no restrooms available here). You can register online or just call: +49 176 48 13 80 29 or +49 40 67 38 37 60. If you want to book a Plaza Tour or combine this with a visit of the ‘Störtebeker’ restaurant or if you wish to participate in a “beer tasting”, we offer private half-hour to one-hour Plaza Tours***. *** = This tour can only be booked in combination with our other offers. We will be pleased to explain to you what this means. Please give us a call or send us an e-mail. Please contact us by phone: +49 176 48 13 80 29 or +49 40 67 38 37 60 or by mail, if you are interested in booking a private Plaza Tour. you can buy them in the Visitor Center opposite the Elbphilharmonie @ Kaiserkai 60-62. The one-hour tour costs 15 Euros per person (payment via PayPal, by bank transfer and credit card) and is not recommended for children under 8 years. As a group (maximum of 30 participants) you can book a one-hour private tour. This offer starts in April 2017, please check out the Elbphilharmonie website for information whether private tours can be booked in advance. The one-hour private tour has a fixed price of 450 euros and is not recommended for children under the age of 8. The Plaza is open daily from 9am to 12pm. 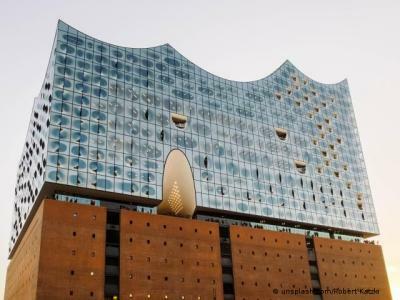 If you would like to visit the Plaza of Elbphilharmonie on the same day as a small group (up to 6 participants) or as a family or school class, you can get tickets free of charge in the Visitor Center opposite of the Elbphilharmonie or at the cash desk on the left side of the Elbphilharmonie. 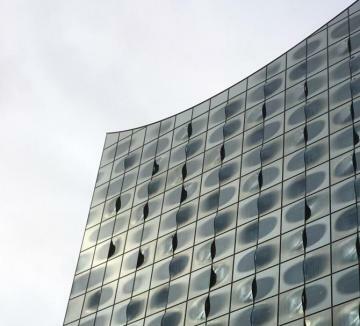 As the Elbphilharmonie GmbH allows only a certain amount of visitors on the Plaza, tickets could be limited during certain popular time windows. The tickets are always valid for a one hour time window. If you prefer to book online beforehand, a 2 Euro booking fee per ticket is charged. (You can pay with PayPal, bank transfer or by credit card.) You will receive the Plaza tickets as a print out or as a mobile ticket. The Visitor Center opposite of the Elbe Philharmonic Hall @ Kaiserkai 60-62, is also selling Plaza Tickets for future days at 2 Euro each. The visitor center is open daily from 9am to 8pm. No restrooms available! INFO: If you hold concert tickets, those are also valid for the Plaza (up to 2 hours prior to the concert). 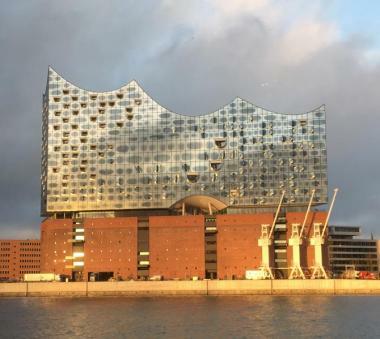 There is a parking garage in the Elbphilharmonie, you pay 4 Euro per hour. CONTIPARK Parkhaus Speicherstadt 2 Euros per hour. Distance: a few hundred meters to the Elbphilharmonie.